But where are the cute blue LED eyes? This morning, GOSTAI’s PR contact sent me a lovely PDF showing off their newest version of the Jazz – complete with an LCD screen on the face of the Jazz. As mentioned in our interview with JC Baillie last month, the Jazz has been upgraded to support the two-way video. After our interview, I was treated to a preview experience with the Jazz without the LCD screen. I am looking forward to the next version and being able to report on it in the coming weeks. If you are in Hanover during CeBIT, do stop by the French pavilion and see the Jazz yourself. 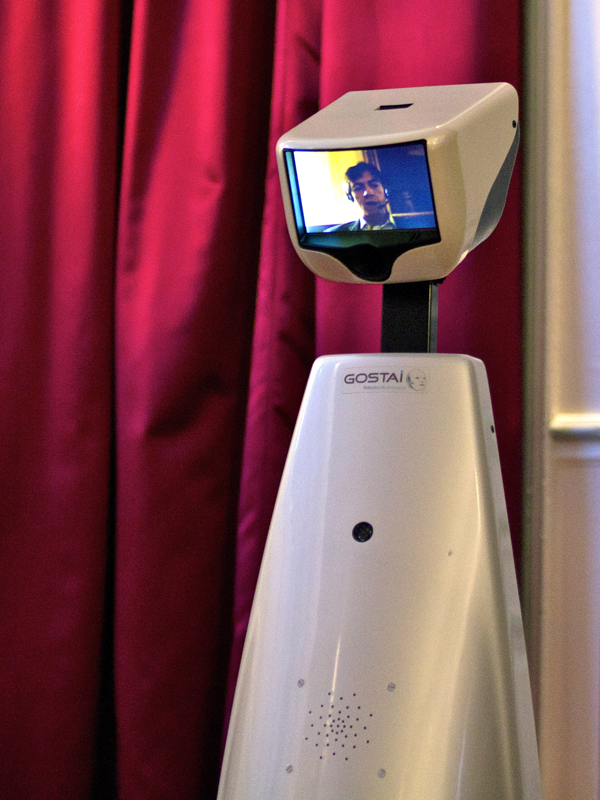 This entry was posted in GOSTAI, Jazz Connect, Remote Presence News, Remote Presence Systems, RPS Companies and tagged GOSTAI, Jazz Connect, Jean-Christophe Baille. Bookmark the permalink.